If Wooden Shjips had until this weekend completely sailed under my radar, it could be explained by the fact that in their several years of existence, the San Francisco quartet had not played a proper NYC concert. On tour to support their latest release Dos, the band played a 92Y show on Friday, and headlined the Sacred Bones Records-curated and ToddP-produced show at 171 Lombardy on Halloween Saturday. At first blush, Wooden Shjips reminded me very much of the psychedelic acid rock of Black Mountain, but quickly veered towards a more trance and experimental take on the genre. The fuzzed guitars mixed equally with a Floydian organ are the centerpiece of the sound, and the tribal drums and chanted vocals are accompaniments. I was extremely impressed with Wooden Shjips and their too-brief forty minute set left us wanting more. This set was recorded with the four-track R-44, and mixed two Neumann microphones set up at thirty feet with a stereo feed from the soundboard. Other than a brief segment of minor keyboard distortion in the early section of the first song, this is a fine recording. Enjoy! 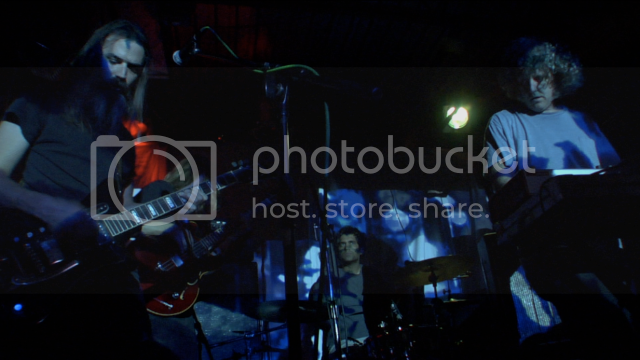 If you email nyctaper for access to this recording, we expect that you will PLEASE SUPPORT Wooden Shjips, visit their website, visit their MySpace page, and purchase their official releases from the Holy Mountain Records website [HERE]. Thank you for this!! I was gutted to miss their Boston show. yeah, big thanks for this – great quality! i almost went to this, but i took my chances with vice and got in. plus i went to the 92y show and ws only played 30min. effi briest is real good though. check them out. 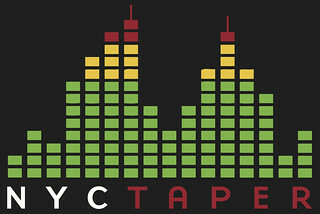 Thanx nyctaper for the nice work here! Many thanks for a fabulous download. My wife and I saw them last year (2010) at The End of The Road Festival in the UK, and of course they were wonderful. Can’t wait for them to return. We will have a new recording of them from Music Hall of Williamsburg from last week up shortly… Glad you enjoyed the set!